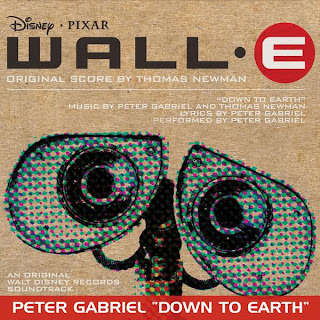 "Down to Earth" is a song, sung and produced by Peter Gabriel featuring the Soweto Gospel Choir. The lyrics were written by Peter Gabriel. 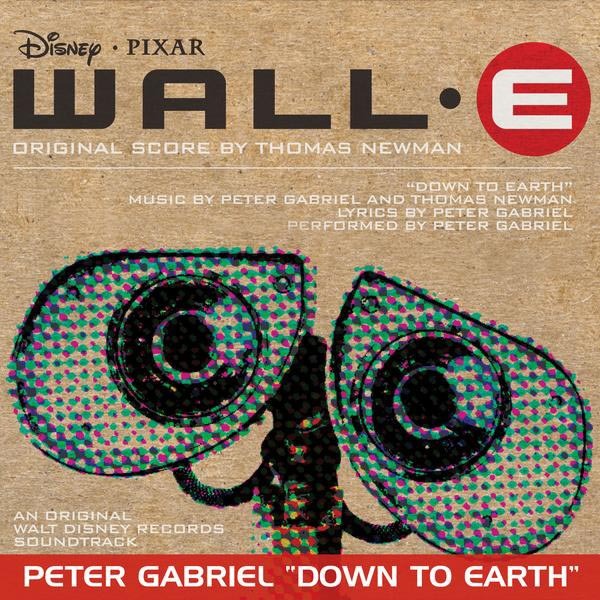 The music was composed by Peter Gabriel and Thomas Newman. The song is part of the soundtrack album WALL-E and is featured in the end credits of the feature film WALL-E.
WALL-E (stylized with an interpunct as WALL•E) is a 2008 American computer-animated romantic science fiction film produced by Pixar Animation Studios and directed by Andrew Stanton. The story follows a robot named WALL-E, who is designed to clean up a waste-covered Earth far in the future. He falls in love with another robot named EVE, who also has a programmed task, and follows her into outer space on an adventure that changes the destiny of both his kind and humanity. Both robots exhibit an appearance of free will and emotions similar to humans, which develop further as the film progresses.